As China’s largest online direct sales company, JD.com offers a seamless online shopping experience for customers around the globe. This means providing authentic products from trusted manufacturers and designers in a timely and reliable fashion. In May of 2014 JD.com listed on the Nasdaq stock exchange, which marked the largest listing of the year on that exchange. In 2014 JD.com recorded GMV of $41.9 billion (RMB 260.2 billion) and net revenue of $18.5 billion (RMB 115 billion). As a technology-driven company, JD.com has focused on investing in developing a reliable and scalable platform, which can support the company’s rapid growth and enable it to provide value-added technology services to its partners and customers. JD.com excels in a variety of different areas, including e-commerce, logistics, Internet finance, cloud computing and smart technology. Building on the same foundation of authenticity, reliability and an enjoyable online shopping experience available on JD.com, En.JD.com aims to provide consumers outside of China and around the globe a quality e-commerce platform, while working closely with suppliers domestically in China. Operated by JD.com, En.JD.com offers a wide selection of authentic, quality Chinese products at competitive price delivered to customers’ doors in a speedy and reliable manner. JD mall.com Apparel brand X has been selling offline in China for 5 years and has already built up a following among their target market. Brand X will soon open a JD mall.com store to introduce their product to a wider audience. Children’s toy brand Y has been manufacturing product in China for foreign markets and would now like to try selling their branded toys to the Chinese domestic market. Brand Y would open a JD mall store and utilize their local inventory for fulfillment. A Personal Bank Reference Letter, only stating no bad record. JD mall Global Premium fashion brand A is eager to expand into the China market but reluctant to take on local inventory risk. JD mall Global allows brand A to enter the China market while removing this risk. Baby formula brand B has noticed a recent increase in overseas purchase demand for their product. JD mall Global offers brand B the opportunity to reach these consumers. Specialty food brand C had previously thought selling finished food product directly to the China market to the impossible. 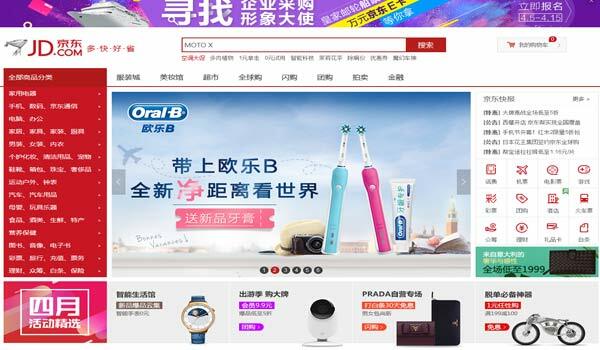 JD mal Global enables brand C to bring their locally famous product to Chinese shoppers. D.com or Jingdong Mall (Jīngdōng Shāngchéng), formerly 360buy, is a Chinese electronic commerce company headquartered in Beijing. It is one of the largest B2C online retailers in China by transaction volume, and a major competitor to Alibaba-run Tmall. Its English website, for worldwide shipping, launched on October 18, 2012.